Urging people to stay healthy and fit, legendary cricketer Sachin Tendulkar on Saturday said that ‘Swachh Bharat’ (clean India) and ‘Swasth Bharat’ (healthy India) go hand in hand. Tendulkar was nominated by Prime Minister Narendra Modi to spread awareness about cleanliness when the Swachh Bharat Abhiyan was launched. “Swachh Bharat and Swasth Bharat go hand in hand…They are interlinked and that’s where I want India to focus. And if we think that we are a young and fit nation, we are not. We are the diabetic capital of the world,” Tendulkar said, during an interactive session at the Hindustan Times Leadership Summit here. “If you are fit and healthy, you’ll do well in any profession. You need not be a sportsman to be healthy…If you are swachh (clean) you’ll be swasth (healthy). Thousands of children below the age of five die every year because of diarrhoea related diseases in India,” he added. Calling for the nation to be participative, Tendulkar proposed that Indian athletes must be given a chance to perform during the breaks during IPL and ODI matches. “We should look at our athletes and give them the exposure they need. We can make them perform during the breaks during IPL and one-day matches. They will get a chance to perform in front of huge crowds and people will know who they are. It will be a great idea to create sports awareness. 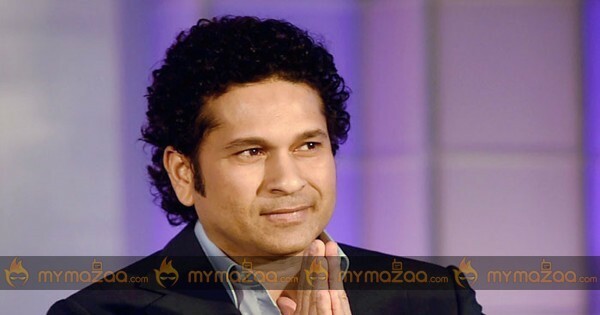 India will then become a sports nation,” said Tendulkar. “We cannot pull down our athletes for not winning medals in Rio Games. We need to appreciate their work. They must be given the exposure they need,” he added.